This Fall Fundraiser features all of your favorite hot spiked beverages PLUS music performances from some of Nashville’s best local indie artists and bands. In addition to delicious drinks and live music, we’ll have an assortment of activities, games, and a really cool Silent Auction. So, be sure to get there early and stay for all of the prizes. This fundraiser is benefiting H.O.M.E. and Music Neighbors. Both nonprofit organizations need your support to continue their mission of helping Nashville’s local music community. To learn more about these nonprofits, please scroll down to very bottom. VIP Merch Package $50: 3 drink tickets, VIP sweet treats, 5 game tickets, Music Neighbors T-shirt & Phone Wallet, A HOME T-shirt & Water Bottle. A yummy selection of your favorite fall comfort foods will be provided by local Nashville businesses! Fall themed sweet treats available only to VIP's. Tuesday, November 6th from 6-7:30pm. Are you an aspiring audio engineer, producer, or creative who has struggled to navigate the path to success in the recording industry? Producer/Engineer and The Record Shop studio owner, Sean Giovanni shares his journey from entering a jobless industry to operating a successful production company. Learn how to establish your brand, build your clients, and find success through your passion. You don't have to go at this alone, it is hard enough as it is. Come learn from folks actually in the Music Business and Network with like minded individuals. Rick Barker former Manager of Taylor Swift and Host of The MIB Podcast will have different guests each time from various sectors of the industry in order to help you get a better understanding of what is out there for you and how to get it! Limited Space, First Come First Serve. 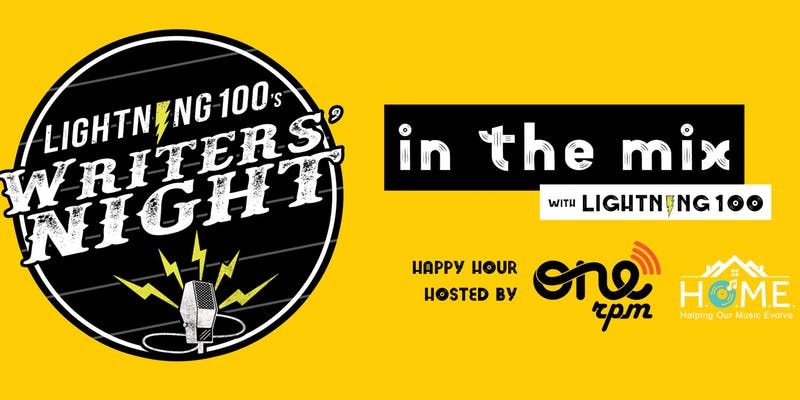 We're inviting out movers and shakers from both the business and creative sides of the music industry to enjoy some snacks and beverages, make some new connections, and listen to the latest Lightning 100 mixes from Nashville's up and coming artists! Join Lightning 100 for our "In The Mix" happy hour + Writers Night powered by ONErpm at HOME Studio on November 7th. The event will take place from 5-9:30pm. Lightning 100 staff will be on site and available for you to pitch your best tunes. Are you radio ready? In The Mix is brought to you by Lightning 100, Home: Helping our Music Evolve, and ONErpm. Are you a visual artist, dancer, actor, musician, or other type of creative? Could you use thirty minutes of free time with a licensed attorney to answer your arts-related legal questions? 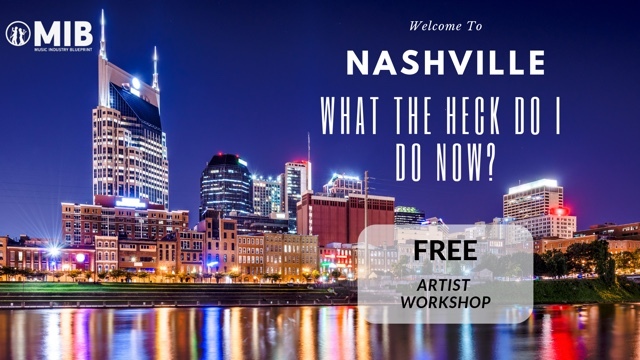 The Arts & Business Council is hosting a free Pro Bono Legal Clinic at the Shelby Community Center in East Nashville, 401 S. 20th Street, Nashville, TN, 37206, on November 8, 2018 from 5:30 p.m. to 7:30 p.m. If you sign up for this clinic, you will receive 30 minutes of time with a volunteer attorney who can give you advice on everything from contracts to registering copyrights. To receive free legal help at this clinic, you must sign up in advance by emailing vlpa@abcnashville.org. There is an income threshold to qualify for pro bono services. To see if you qualify, email vlpa@abcnashville.org. Shelby Community Center is not liable for any legal advice provided at this clinic.